Beer’s flavour is a question of chemistry. Photo: Istock. Genomic techniques are making it easier to identify the most interesting strains of yeast for beer production. UBC geneticist Karissa Milbury is working to literally light the way to a more delicious brew. From ancient Mesopotamia to modern-day craft businesses, brewers have honed their skills in transforming wort — a sugary, steeped plant matter — into beer. 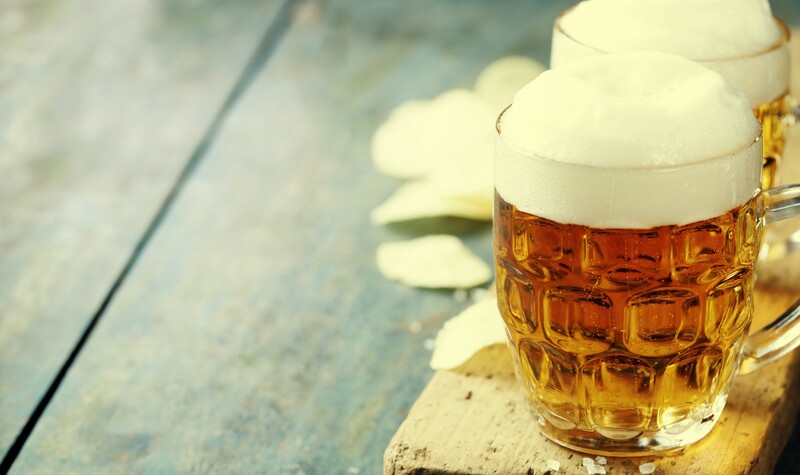 All beers are made from grains, hops and yeast, and rely on a chemical process known as fermentation (which the yeast provides) to create an alcoholic beverage enjoyed throughout the world. 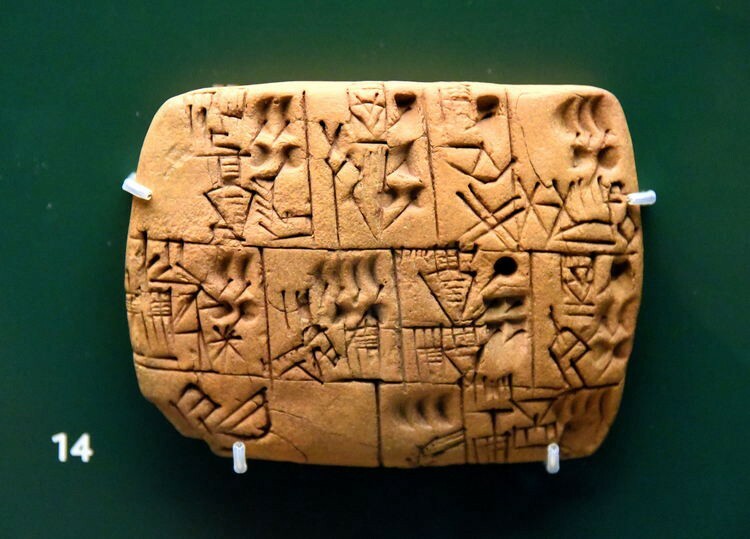 Mesopotamian beer rations tablet. Photo: The British Museum, London. Historically, brewers would take the sediment that collected at the bottom of each batch and reuse it. Even before they knew this sediment contains yeast, a living thing, they were learning to care for the yeast to maintain its beer-making capabilities. This knowledge was passed through the generations of brewers and unknowingly, humans shepherded generations of yeast from batch to batch. We would later name the microscopic creature Saccharomyces (‘sugar fungus’) cerevisiae (‘of beer’). So does this mean yeast was born to make great beer? Not exactly. Through carefully selecting yeast that produce beer flavours we like, humans have domesticated a wide variety of yeast strains that are used for different beer styles. Each strain makes a huge number of flavour chemicals, and these greatly affect the beer. In my postdoctoral work at UBC and with Renaissance BioScience, I’m part of a team developing new ways to identify which aroma and flavour compounds are produced by each yeast strain. This is part of the broader “Make With Microbes” project, which aims to develop new methods for producing and selecting yeast strains for a variety of industrial purposes (MakeWithMicrobes.xyz). 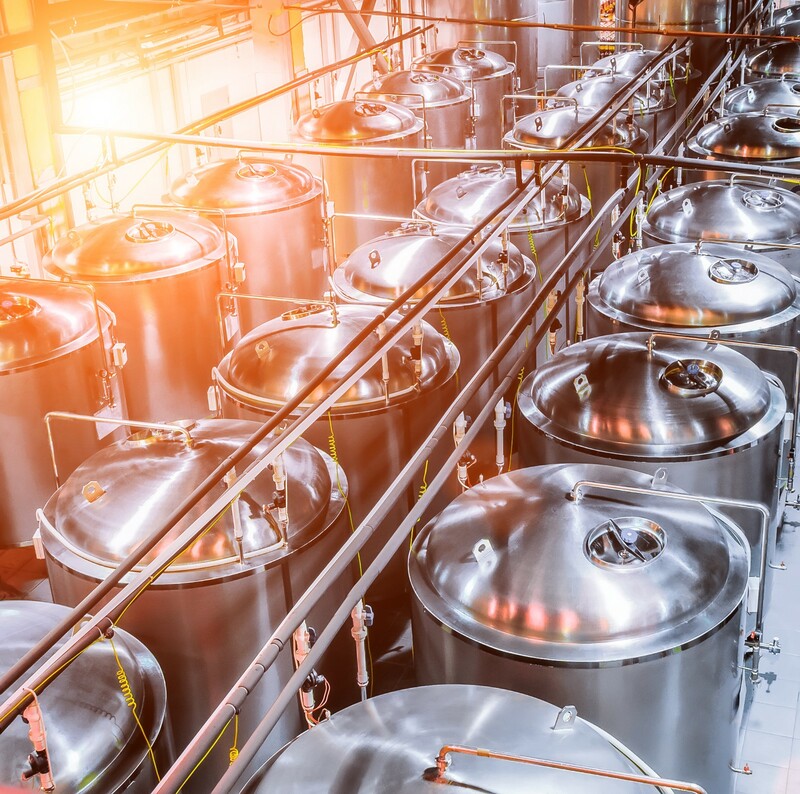 Once we identify a strain that produces less (or more) of a compound we’re interested in, we go back to the original yeast culture and isolate it (in this case, for the brewing industry). The Make With Microbes projects will bring us closer to being able to quickly find valuable biological traits in yeast cells, either produced through traditional techniques (such as breeding different strains together) or collected from around the world. And it will allow us to identify new, interesting yeast strains for industry applications without the use of genetic modification. 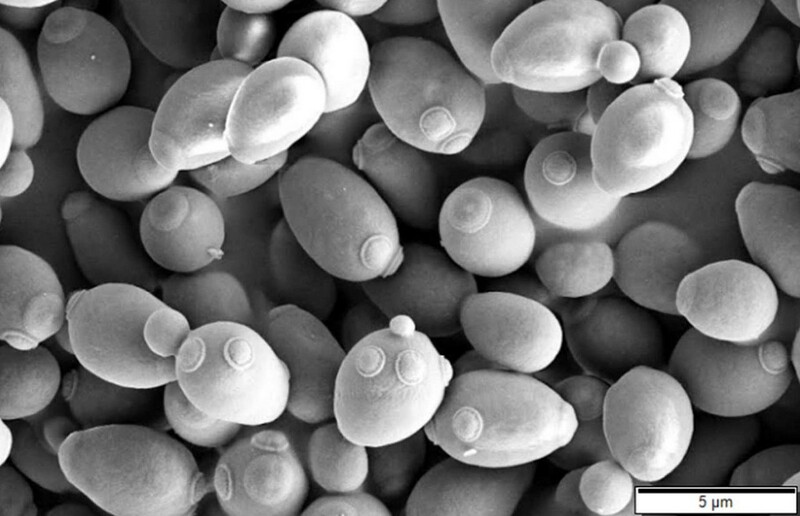 Saccharomyces cerevisiae, the yeast used in brewing. Photo: Mogana Das Murtey and Patchamuthu Ramasamy. My work will make the process of selecting the right yeast for the job faster and more cost-effective. My approach will be to introduce a gene into yeast cells’ DNA. Once the yeast have the gene, the gene will turn on and cause them to produce a protein that glows when lit by a certain wavelength of light. There are many such proteins in nature, and we’re still in the process of identifying which one to use in our work. Getting the gene inside the yeast is actually the easy part — my task is to edit the DNA around the gene so that the yeast cells can only make the glowing protein when they’re also making a flavour chemical. To explain why this is useful, let me give you an example. The classic hefeweizen is a pale, cloudy wheat beer that sometimes tastes like banana candy. This banana flavour is caused by high levels of isoamyl acetate, a compound that hefeweizen yeast love to produce when they’re fermenting in warmer beer. Many people find too much isoamyl acetate unpleasant, but it’s sometimes useful to be able to ferment beer at higher temperatures. Beer fermentation tanks. Photo: Istock. But we may be able to find a yeast strain that produces less of the banana-candy tasting compound. Hopefully, I’ll be able to take a small sample of yeast cells and modify them to glow when they produce isoamyl acetate. So instead of spending weeks making a batch of beer to test for levels of isoamyl acetate using expensive equipment or taste-testing, we can warm the yeast cells and place them under a microscope to see if they’re glowing. Instead of a two to three-week process, we can do it in a few minutes. Follow UBC Science on Twitter, Facebook, Instagram and subscribe to our newsletter.